Visit your Life Uniform store in Reynoldsburg, OH and enjoy top-notch service and a truly boutique atmosphere. 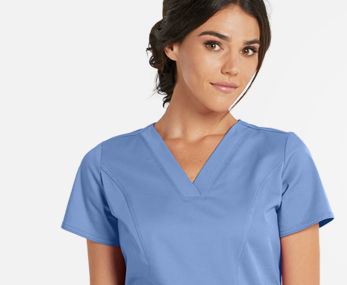 Our Reynoldsburg associates are well-versed in understanding the unique needs of each caregiver, helping you find the right set of scrubs with the features you need to perform your best. With innovative options, from antimicrobial fabrics and well-placed pockets to a comprehensive selection of medical accessories and footwear, any medical professional can find everything you need while enjoying a superior shopping experience in Reynoldsburg. Teal and tonal? Oui, s’il vous plaît! Shop this fabulous color from @ellemedicalapparel tout suite!